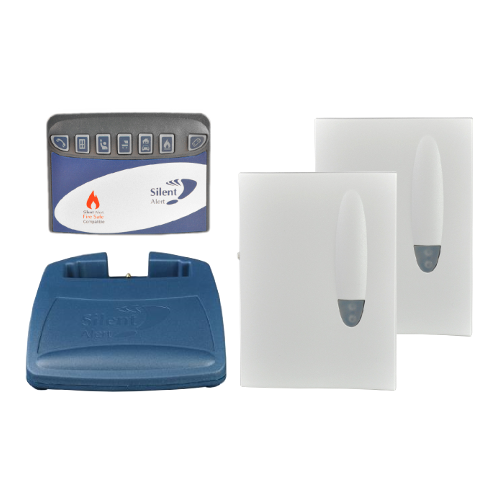 A site survey should be conducted for any new installation to determine the number of panels required (range test kits are available below). The Fire Safe system needs to be connected to a BS5839-1-2013 fire alarm system by a suitably qualified technician or electrician. Clofield Ltd accept no responsibility for site radio coverage if a range test has not been performed. 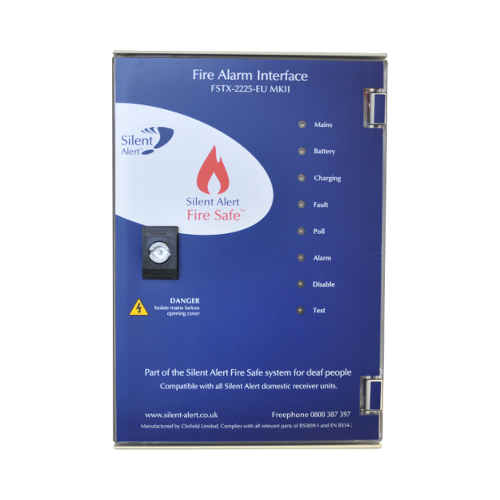 Minimum system requirement: The Fire Safe system comprises at least one Fire Safe interface panel with a Pager and Charger or Signwave receiver. I have read the above, performed a site survey and agree to the terms of sale. *prices include VAT at 20% but exclude shipping & paypal fees. To determine site coverage a range test kit is required comprising a Pager, Charger and 2 x Fire Safe range test monitors. Detailed instructions are included to ensure the site survey is accurate. If you require next day delivery please click the button to add the premium to your order. Simple to use and ergonomically designed for both Deaf and Hard of Hearing people, the portable SignWave Receiver uses the on-board strobe, variable sound frequencies, and the incoming alert symbol to notify the user to an event. Supplied with power supply and charging base. Compatible with optional Pillow pad. Lightweight & discreet, this fully portable Vibrating Pager unit with internal rechargeable battery is worn by the user on the belt, in a pocket or by using the neck cord. or FSCH-2206-IN Chargers (listed below). Our standard Pager but in high contrast yellow. Ideal for visually impaired users; Braille, raised text and Moon labels available. This comfortable pouch allows the Pager to be securely fastened around the users waist. Alarm Clock Charger for Pager units. Provides overnight and wake up cover for users. Supplied with power supply (PS3A). Compatible with vibrating pillow pad (VP3A). Fire Safe Charger for Pager units. Supplied with power supply (PS3A). Compatible with vibrating pillow pad (VP3A). 6V DC, only for use with the Silent Alert system. Power supply unit for Chargers and Monitors. Inline power supply unit for Chargers and Monitors. NOTE Only to be fitted by a qualified electrician. Requires a fused spur or 3 pin UK plug. The Mini Telephone Monitor is an easy to fit unit that enables the user to be alerted to in-coming calls to their phone, textphone and fax. An ADSL Micro filter will be required on Broadband enabled lines. The Mini Monitor can be set-up to inform the user of doorbell and door entry alerts, car & house alarms; activation of inter-connected smoke alarms and as a person to person hailing device. Other specialised alerting applications can also be accommodated. Contact Clofield to discuss your requirements. Mini Monitors can be weather-proofed with the Storm Guard cover. 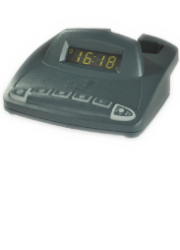 The Mini Person to Person Key Fob can be used to page to Carer who is in another part of the home or workplace. Ideal when caring for someone who is either ill, has mobility problems or is prone to falling. Powered by a 6V Lithium battery, the Key Fob when operated will send a signal to a Pager or SignWave Portable Receiver. The Key Fob will also indicate to the Receiver when a low battery is detected.